need to be taught how to read in different ways than their peers. read and advance academically from grade to grade. fund educational services the district is obligated to provide. developmental detriment. He currently reads years behind his peers. representative unilaterally found her ineligible for such services. 1 million students in K-12 public schools display signs of dyslexia. 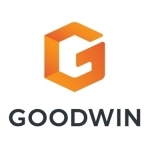 and follow us on Twitter at @goodwinlaw and on LinkedIn.